The Makena Collection by Jennifer Taylor Home is the perfect addition to any living space looking to add a bit of flair. The unique design features recessed arms and button tufting that is sure to please the eyes. 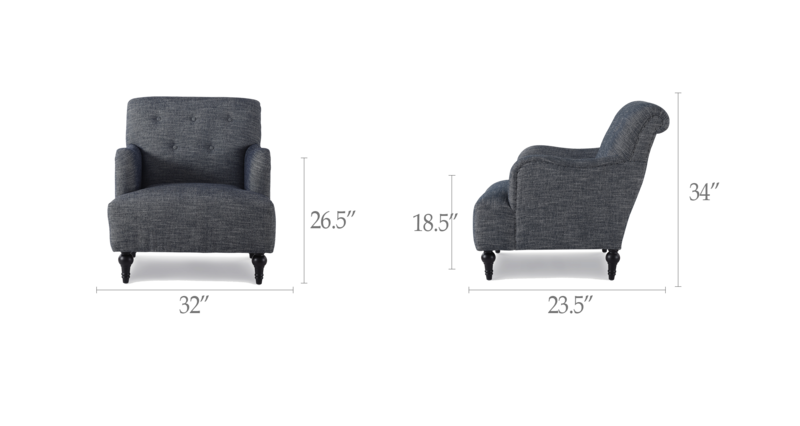 Upholstered with premium fabric and high-density foam, the solid birch wood frame provides exceptional support and stability as well as offers superior comfort. Jennifer Taylor Home offers a unique versatility in design and makes use of a variety of trend inspired color palettes and textures. Our products bring new life to the classic American home.